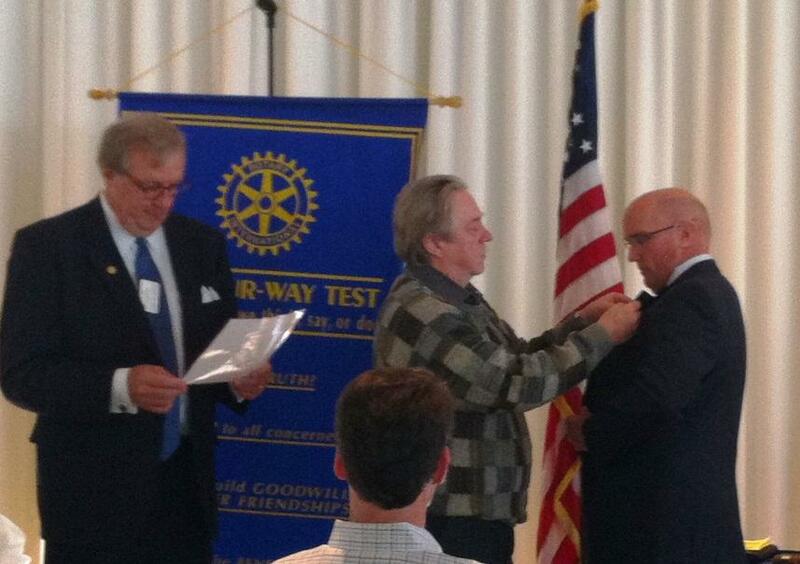 Today we welcomed new member Jim Held, Lake Forest Chief of Police. Jim was sponsored by Bill Gallagher, Lake Bluff Police Chief, and received his pin from District Governor Rodney Adams, who visited us today. 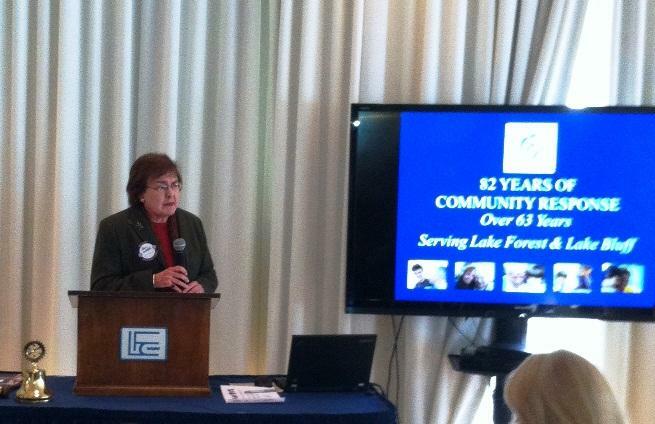 Our speaker was Gail Hodges, Development Director of Family Service. Many of us see the work of Family Service without ever knowing what Family Service is. Gail enlightened us on the many ways the organization responds to diverse community needs. Family Service provides physical and mental health and educational resources in 62 communities across Lake County and northern Cook County. Their areas of assistance are senior and caregiver services, professional counseling, and Latino support services. Family Service provides a senior and caregiver advocate at the Lake Forest-Lake Bluff Senior Center and now also offers no-fee youth and family counseling on a part-time basis at CROYA. Nuestro Center and other facilities and programs for the Latino community are offered in Highwood and Highland Park. A small amount of the revenues Family Service receives comes from user fees, but the majority comes from donations.